The writer of the book of Hebrews indicates that the Torah was “spoken by angels.” In this teaching, D. Thomas Lancaster takes a look at first-century angelology to understand the apostolic concept of the Torah being delivered by angels and what role that concept plays in the argument in Hebrews 2. In last week’s sermon which I reviewed, we learned that Yeshua (Jesus) was greater than even the angels. What we didn’t learn is why that was important to the addressees of the letter to the Hebrews and why that should be important to us. Here, we see another Kal va-chomer argument, from the light to the heavy. Look at this. For if the word spoken through angels proved unalterable, and every transgression and disobedience received a just penalty, how will we escape if we neglect so great a salvation? This is the cornerstone of Lancaster’s sermon and we need to pay attention. I said in my first review of this series about the Kal Va-chomer argument, that if the first and lighter portion of the argument was not valid, then neither is the second, and the entire argument disintegrates. The first part of the argument states that the Torah is “unalterable, and every transgression and disobedience received a just penalty.” In other words, the writer of Hebrews is telling his Jewish audience that the Torah remains valid and unalterable in their lives. The Jewish audience must have continued to be Torah observant Jews who did not question the validity of Torah. After all, if they considered the Torah alterable or invalid or obsolete as most Christians believe the writer of Hebrews is saying, then according to the argument, the heavier aspect of the statement must also be invalid or obsolete: Jesus and salvation. That doesn’t make much sense. Put in just a slightly different way, if the Torah remains valid and unalterable, how much more is the salvation of Jesus valid and unalterable. The second element in the argument does not undo or invalidate the first but rather rests upon and depends on the first element. If it doesn’t, the argument falls apart. Christianity’s understanding of the purpose of the Book of Hebrews in general and this portion of the epistle in specific is what becomes invalid based on what the text is actually saying! However, as Lancaster solves one problem, he introduces another. Not only in this verse, but Acts 7:53, the words spoken by Stephen, and Galatians 3:19, which was written by Paul, both speak of the Torah being delivered by angels. But wasn’t the Torah spoken directly by God to Moses? This is just one of a multitude of examples of God (seemingly) speaking directly to Moses words of Torah rather than having Torah delivered by angels. In fact, where do we ever see angels delivering words of Torah or tablets of Torah to Moses? Apparently no where. Lancaster goes through a list of the various types of angelic beings, which aren’t important to present here, but he does mention one particular type of angel we need to pay attention to: the angel of the Lord. In Genesis 18 we see three men visit Abraham at his camp. We know that these three men are really three angels. Two of them go on to Sodom but one stays behind and this is God. But how can it be God if God is infinite and a consuming fire? Just look at what He did to the top of Mount Sinai! Who or what is the angel of the Lord? According to Lancaster, this is an angel, a created being, through which God speaks. The angel speaks the Words of God in the first person singular as God Himself, but is not God Himself, but rather a representation or extension of God, as if God were talking into a microphone and the angel were a speaker on the other end of a cable. In other words, when Jacob wrestles with an opponent in Genesis 32, we don’t have to drive ourselves crazy wondering if it is an angel or if it is literally God. Lancaster says, it’s the angel of the Lord, God’s created representation in our world. Actually I find that a relief. I always suspected that at least some angels had such a function rather than an infinite, all-powerful, all-encompassing God literally intersecting with our world, He would send a representative being, like an amplified ambassador able to speak as if he were God present among us. It also is a nice response to certain Hebrew Roots commentators who turn exegesis in the Tanakh into “I-see-Jesus” whenever the angel of the Lord appears. Lancaster provides numerous other proof texts to support his commentary, and you can listen to the full recording to get all of his references. I will say that Lancaster also mentions that the concept of the angels giving the Torah was very popular in the first century, as evidenced by how well read the Book of Jubilees, which supported the angelic giving of Torah, was among Jews of that period. All this may sound strange and even alien to us, but Lancaster says it made perfect sense to a first-century Greek-speaking Jewish audience. We can’t judge these things by the context of 21st-century English-speaking Christians living in the United States of America. We have to get into the heads and comprehension of the original audience. Otherwise, we’ll come up with some pretty goofy conclusions. But what does this have to do with the Messiah being superior to the angels? It seems applied to our Kal va-chomer argument. If Messiah is superior to the angels and the angels gave the Torah, then what the Messiah gives must be superior as well. No, I didn’t say what the Messiah gave replaced the Torah, just that it held much more weight, and to extend the metaphor, the message of Messiah rests on the foundation of the Torah. At Sinai, Moses went up the mountain. 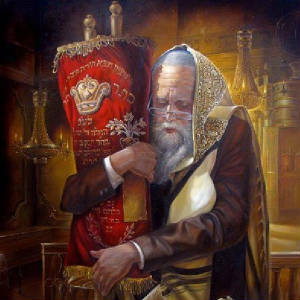 He acquired the Torah in the realm of angels, descended and gave the Torah to human beings. Messiah went up into the Heavenly Court, the realm of angels, at the ascension. When he descends, he delivers the Messianic Era of peace and complete knowledge of God to human beings. Lancaster didn’t use this scripture in his sermon but I think it makes sense. The New Covenant doesn’t undo any of the older covenants or “unwrite” any of the specific content. It actually amplifies the older covenants, reaffirms them, and makes it more possible for Judah and Israel (and the people of the nations who are grafted in through faith in Messiah) to “know God” in a more fulfilling way than even the great prophets knew God, and the law, the Torah will be written on all their hearts. That’s the Messianic Era. We have just barely tasted the first fruits of that New Covenant. Most of those promises have yet to be fulfilled. Messiah’s work is not finished, otherwise why return and why is the gospel message all about the coming of the Kingdom rather than just a plan of personal, individual salvation for specific human beings? The New Covenant is wholly dependent upon the older covenants. If any of the older covenants cease to exist, the fabric of the New Covenant unravels and falls to dust and Judah, Israel, and the people of the nations who cleave to the God of Israel have no hope. But if the Torah is true and valid and reliable, how much more true and valid and reliable are the Messianic promises and the coming of Moshiach? I did hit something of a wall or contradiction. Probably just a misunderstanding on my part (and I’ve made mistakes before in this review series). If the argument is that Messiah is greater than the angels who delivered the Torah, but was specifically the angel of the Lord, God’s personal angelic representation, if you will, who delivered the Torah to Moses, then does that mean the Messiah is greater than the angel of the Lord? I don’t know if the question even makes sense, depending on how you view Trinitarianism, but it’s what popped into my head as I was listening to the sermon, so I thought I’d share it with you. I didn’t read through each and every transaction Moses had with Hashem in the Torah, but I suspect that we may encounter some difficulties in determining on some occasions exactly who is addressing Moses. Is it the angel of the Lord, or the Lord? Does God never speak directly to Moses? Is it always an angel? I don’t know. The suggestion offered by Lancaster seem to bear further scrutiny, however. I would love to hear more debate about the Angel of the Lord in the Hebrew Scriptures and who this represents. Asher Intrater’s book – Who Ate Lunch with Abraham makes a strong case it is indeed the pre-incarnate Jesus and Dan Juster’s Jewish Roots also argues along the same lines. gj, my personal opinion is that a single “incarnation” of the “Word made flesh” makes more sense than “incarnating” Jesus on multiple occasions whenever God has to appear as a physical human being. A pre-incarnate Jesus tends to take the vast miracle of the Divine Logos becoming fully human and a little lower than the angels and diminish it to just another in a long series of incarnation events. Of course what we have now is the Bible and a bunch of different interpretations and opinions on what the Bible is telling us about a lot of different things, so I can’t say that Lancaster is correct in absolute terms on the matter of “the Angel of the Lord.” It just seems to be, as far as I know right now, the more reasonable explanation. With all due respect to Lancaster’s invocation of the Book of Jubilees, I think that a simpler explanation should be considered for the Hebrews passage about the Torah being delivered by “angels”. Occam’s razor definitely favors the simpler solution. In this case, consider that the Greek word which appears in this text, which we use for the concept of an “angel”, happens also to mean “messenger” and it is used thus in other apostolic passages. We can certainly understand how the Torah was delivered to the Jewish people by messengers, of whom Moshe was primary, while the Levitical priests and then the prophets continued the process. The inviolate administration of the Torah was by the hands of HUMAN messengers, not inhuman “angels”. Thus, per Heb.2:2-3 — if the word that was spoken and administered by human messengers was unchangeable, and transgressions received just penalties, how then should we expect to escape the penalties of ignoring something even greater? This is not to diminish the roles actually played by HaShem’s non-human but humanoid angelic agents where they are identified as such; but I think that the writer of Hebrews had something more basic in mind. Well, that’s interesting PL, and as a completely different take on “messengers,” disassembles the vast majority of Lancaster’s sermon and the points he makes therein. Would this also affect his “Angel of the Lord” theory in that rather than a “pre-incarnate Jesus” or some other form, God could speak directly through a “humanoid” angelic being? I don’t know what Lancaster offers as a theory about the “Angel of the LORD”, but I would assert definitively that there can be no such thing as a “pre-incarnate [Yeshua]”, because Yeshua could not exist as such until the neshamah that Rav Shaul described in Phil.2:5-11 was assembled together with the body that HaShem prepared for him in Miriam’s womb (including, of course, the characteristic communicating attribute which was representative of HaShem’s means for the creation of all things, that Yohanan described as the “Logos”). Only that combination may be referenced properly as the beginning of the entity we know as Yeshua. After he lived and collected the human experiences and memories of his human lifetime, we may consider him returning to HaShem as a complete being, yet to re-enter history in the ben-David role; and there is another discussion to consider regarding events that occur outside our familiar space-time framework. I don’t wish to sidetrack the current topic with all that at this time. Further, there is absolutely no need to try to read Yeshua into earlier passages about HaShem’s interactions with humans, as if Yeshua were the only possible humanoid vehicle for doing so. When Yakov wrestled with HaShem, as that “man” was ultimately described, thence receiving a new name, it was not Yeshua that wrestled with him but rather a special humanoid angelic agent not unlike the ones that visited Avraham after his circumcision and before the destruction of Sodom. Of course (!) HaShem can interact “directly” with humans, if we mean by directly that he uses some form of agency or proxy. 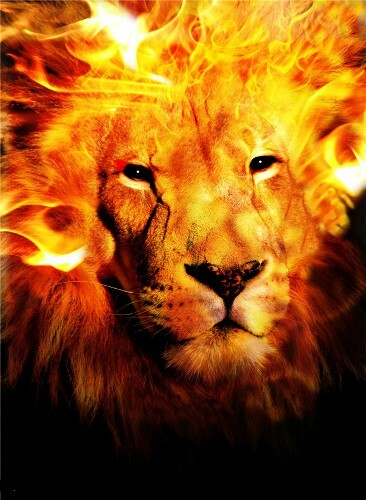 Even the fire in the burning bush was a proxy for HaShem’s interaction with Moshe. And we’re given only a hint about what form HaShem used with Moshe atop Mount Sinai, from the theophany experienced by Israel’s elders on that mountain when they ate and drank together in Ex.24. One of the most interesting and thought provoking books I have read in recent memory. @PL: I agree that a “pre-incarnate Jesus,” as I said above, would require multiple incarnation events, diminishing or just making mundane the actual incarnation of Yeshua as Divine Logos made flesh. I also find this challenge of “the pre-incarnate Jesus” opinion as a relief. Downright refreshing. Even when first walking with the Lord and first learning the Scriptures, this had the feel of a “forced” interpretation. I’m no scholar on the subject. I aspire to keep the answering of such mysteries in the “Open” file, not the “Closed” file. This is, in a way, my way of paying respect to the divine “genius,” if you will, of HaShem. I forget if I did or not, Yahnatan. A consequence of getting older, I think. Title sounds familiar but if I read it, I don’t recall. Link? Haha, you can do it James! Thanks, Yahnatan. I appreciate you being patient with my aging memory. I also had issue with DTL’s Angel of the L-rd…but mine was the opposite. I think it was the Pre-incarnate Yeshua. But as with a few other things…we weren’t there. And does it REALLY matter? So, I let it go and will study further later. I do LOVE that you chose that image for the header of this post. Recently, a friend and I drove all over New Orleans trying to find that angel in a cemetery. By the time we found it, the cemetery was closed and it was too dark to get a picture. HA! When I saw it on top of this review, I totally LOL. “The Allusive Angel” is what I call her now. Blessings. Thanks, Tracy. We have the comfort of knowing that all of our questions will be answers when Jesus returns. Until then, we study and do our best to know Him. I’m sure you had a point to make with these two verses, Carlos, but I fail to see what it is. He seems to be comparing the manifestation of Hashem to Abraham in Genesis to Yeshua’s declaring himself Alpha and Omega in Revelation. Reasonable guess, James — but who says that Yeshua was making such a declaration about himself rather than quoting a statement about HaShem? There is a bit of wordplay in this vision over firsts and lasts (see also Rev.2:8 & 22:13); and Textus Receptus is not identical to Nestle-Aland on these passages. One cannot parse these passages superficially. Nonetheless, Carlos still needs to clarify his intention. Without more information from Carlos, I can’t say. I don´t speak english, i am sorry for my english. My comment in this two verse is referent to HaShem and Yeshua declaring “Almight” in Genesis 17:1 and Revelation 1:8 respectively. I can see that you agree with the statement that the Angel of HaShem is only a representation (manifestation, extention) of HaShem. As far as I’ve had revelation, the Angel of HaShem is no ordinary angel, I know, that no Angel has the power to read minds or appearing in a dream, that’s just right to HaShem; from what I understand, the Angel of HaShem it’s not just a Malaj, a messenger; It is something more than a Malaj. The Angel of HaShem appears in dreams to Jacob in Genesis 31:11. In Hebrew 1:1 “who at sundry times and in divers maners spake”. I understand that not only spoke through angels, if not in other ways. As stated in Hebrews 2: 2. But well you say, this can become a wordplay. As said earlier, is the level of revelation that I’ve had.